A stewardess of a Pobeda (Victory) Airline's plane poses at a city airport in Volgograd, Russia. Pobeda is a subsidiary of Aeroflot-Russian Airlines. The budget airline owned by Aeroflot has introduced strict requirements for transporting luggage and ruined relations with its passengers following several controversial decisions, but has nevertheless made a profit after just one year of operation. At the beginning of 2016 the Russian Pobeda low-cost airline, owned by the national carrier Aeroflot, found itself mired in several scandals. In one such case (in Russian), the airline's flight attendants refused to sit parents next to their child because they had not paid an extra fee to select their seats beforehand, and then called the police, which led to a wave of indignant protest on Russian social networks. Then a court (in Russian) upheld an instruction by Russia’s transportation supervisory body Rostransnadzor obliging Pobeda to carry ladies' bags as cabin baggage free of charge following an incident in which the company forced a female passenger to pay 2,000 rubles ($32) to take a “lady’s bag in the form of a rucksack” on board as hand luggage. However, despite growing resentment among passengers, Pobeda, which also made the news for deciding to charge a fee for transporting duty-free items, has demonstrated high economic effectiveness in its first year of operation. It was initially estimated that in the first year of operation the airline's losses would be about 1.5 billion rubles ($23 million). However, Pobeda was able not only to avoid the losses, but also to bring its owners a profit of 37 million rubles ($570,000), explained Daniil Kirikov, managing partner at the Moscow-based Kirikov Group. According to Kirikov, amid the general stagnation in the Russian market this performance provides grounds for optimism. “In the first quarter of 2016 the total operational losses of carriers in Russia reached 24 billion rubles ($370 million) and overall passenger numbers in the first six months of the year fell by 8 percent,” said Oleg Panteleyev, head of Aeroflot's analytical department. The 2016 results for Pobeda will be even better, he added. Pobeda's business model is different from that typically followed by economy airlines. Firstly, explained Kirikov, the company has refused to use secondary airports in Moscow's neighboring cities and has chosen Moscow's Vnukovo as its base airport. The company has also seriously limited its route network. For example, while Irish giant Ryanair and British budget airline EasyJet have 80 destinations, Pobeda has only 30. The Russian low-cost airline tries not to compete with its owner Aeroflot, said Professor Emil Martirosyan from the Russian Presidential Academy of National Economy and Public Administration. According to Oleg Panteleyev, in general Pobeda economizes on fuel and to do so has reduced the weight of the planes as much as possible by doing away with the kitchen equipment and introducing strict rules on luggage weight. And at the same time the company actively "squeezes out" discounts on services from the airports, he said. 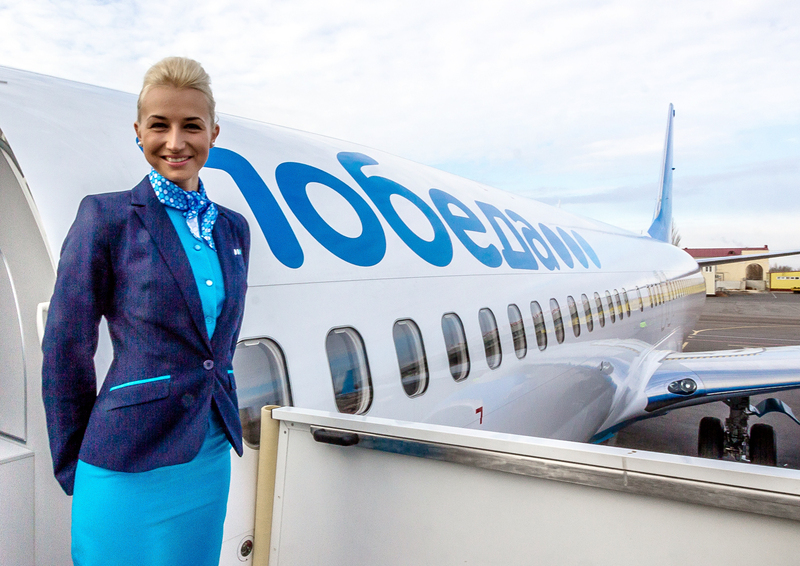 Unlike foreign companies, Pobeda also does not sell additional services onboard. The peculiarities of low-cost airlines in Russia are explained by the fact that the aviation sector in the country has evolved differently from in the West. "While abroad there are many small airports near large cities, in Russia there are not that many," explained Dmitry Baranov, a leading analyst at Moscow investment company Finam Management. In his words, usually near a large Russian city there is only one civilian airport, while the other airports belong to the military and are inaccessible for civilian use. Consequently, outside Moscow Pobeda cannot choose between airports for its flights. "Full-fledged low-cost airlines will appear in Russia only when the airport services market is liberalized. Meanwhile, Pobeda's main goal is to perfect its concept," said Sergei Khestanov, advisor on macroeconomics for the general director of Moscow-based brokerage firm Otkrytie Broker. But Dmitry Baranov insists that in the future the situation will change: The government intends to establish aviation communication not only between large cities but also between small centers. It is then that the growing competition between airports will lead to the development of low cost airlines, he believes.